The Carriage House Museum will be closed for the Winter (January - April). We will however open by appointment by calling Bob Stell, 315-594-9065. Mission Statement: The Wolcott Historical Society seeks to preserve and restore items of historical significance and educate present and future generations so they may have a sense of their heritage. Wolcott Historical Society is a 501-C3 organization with an Absolute Charter from the New York State Department of Education. 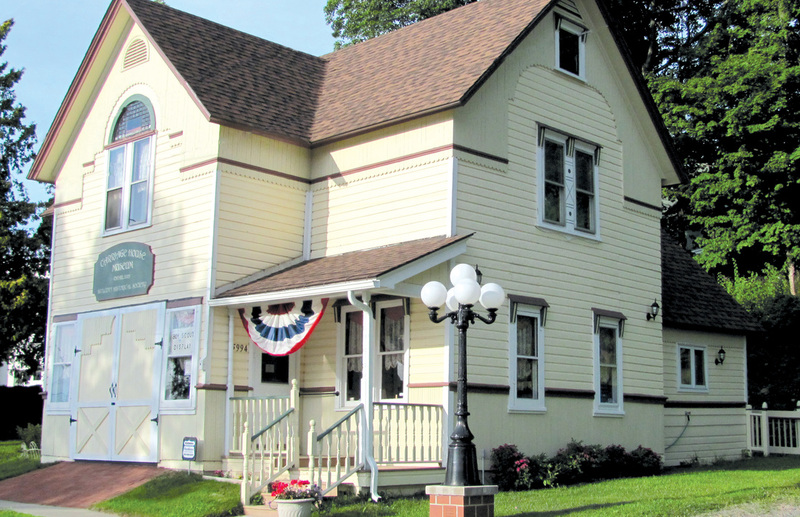 The Society maintains a museum with exhibits relating to the Town of Wolcott, New York and the two villages therein, Red Creek and Wolcott. The society's museum is identified as the Carriage House Museum as the building was originally a carriage house. Thanks to many donors a large collection of artifacts is owned by the society allowing for rotating exhibits on a regular basis. Presentation of special programs relating to local history are provided for the public by society members and guest speakers several times a year. A considerable amount of geologic information is in the museum collection.